The Jim and Carol Trawick Foundation has supported two special opportunities through its TeamUp Grant Program. 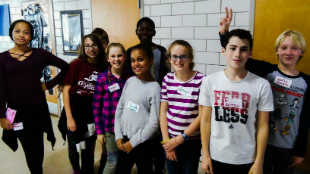 At Sligo Middle School P4L partners with Big Learning, Artivate and the YMCA’s Horizons program to provide a dynamic after school and summer program that integrates Science-Technology-Engineering-Arts-Math and culminates in an annual S’TEAM Community Learning Day held each fall. The students lead the day and showcase visual and performing arts, lead hands-on demonstrations in Science-Engineering and Information Technology and serve as enthusiastic ambassadors for their school. At Parkland Middle School students learn with KID Museum, AFI Silver Theatre and Cultural Arts Center and Passion for Learning. They visit KID Museum to learn about electronics, building and engineering; AFI helps students develop and produce documentary films; P4L students develop and implement a digital Communications, Marketing and PR plan. 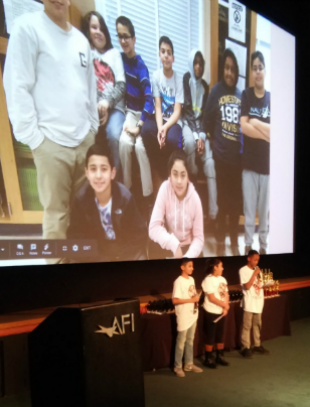 The K.I.D.S Tech year culminates in a showcase and awards event held at AFI Silver Theatre where K.I.D.S Tech students shine!